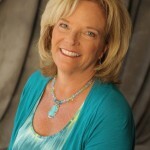 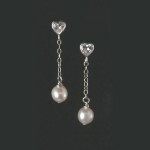 Home / Collections / Pearls & Crystals / Pearls and crystals on delicate heart link chain. 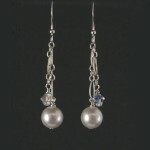 Pearls and crystals dangle from the end of each side of the delicate heart linked chain. 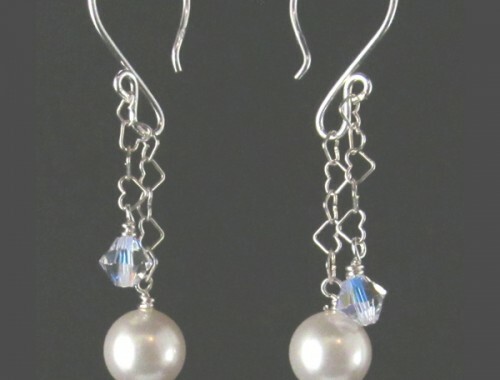 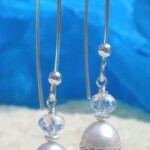 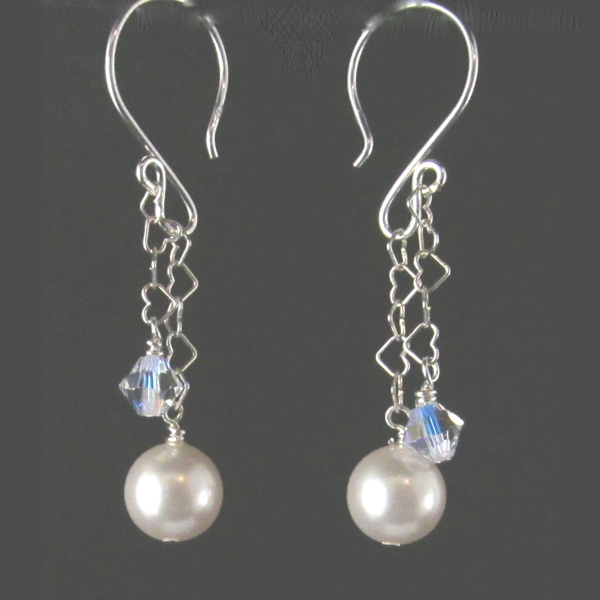 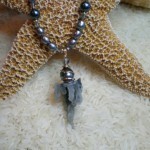 The length of the chain and pearls is just a tad bit over 1″ and is hanging from a sterling silver ear wire.